Steve Wynn's fascination with artist inspired dining continues at Encore with 'Botero (aka 'Botero Steak',) named in tribute to Colombian artist Fernando Botero (1932-). Botero (the restaurant) contains five pieces by Botero (the artist) - three paintings and two sculptures - situated throughout the bar, dining room and the poolside patio. 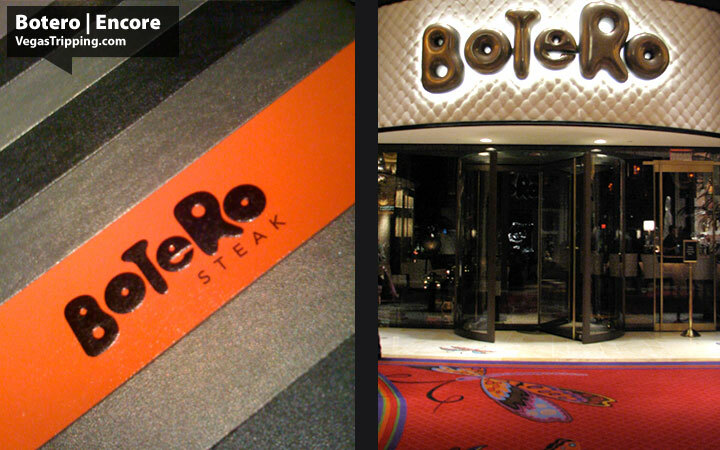 As of this writing, the artist has yet to visit Botero and was not involved in the design of the restaurant or the logo, which was produced by Slover and Company in the style of the artist. Slover and Company are responsible for all of Wynncore's branding, logo and graphic design elements. Upon entry to Botero, guests traverse beneath a horizontal 'ceiling bar' which bends downward to the bar itself. 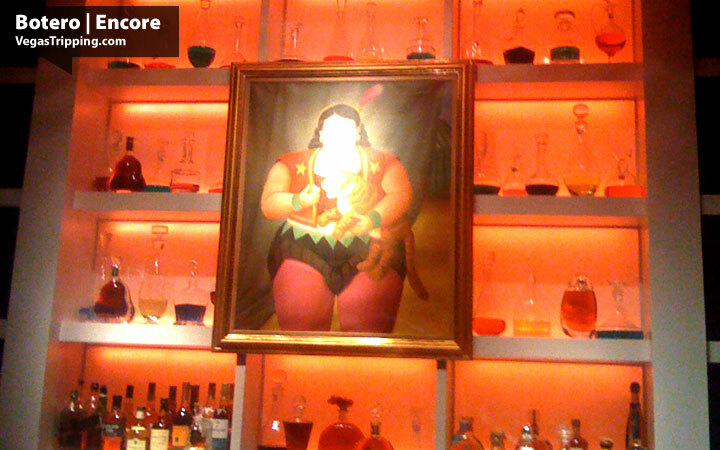 Prominently displayed above the bar is Circus Woman With Tiger (2007) from the "Circus Series." P.S. Most of the photos in this review were taken with a cellphone as doofus me left the good camera upstairs. We're going to replace the painting photos with proper shots next time we visit. Last time I saw the Ex's buffet I screamed as well.